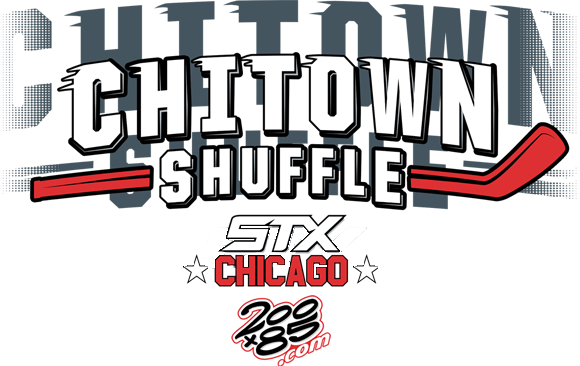 In consideration of being allowed to participate in any way in the STX Chi Town Shuffle/200x85 LLC (the “Event”) ice hockey program, games, tournaments and/or related events and activities. THE UNDERSIGNED ACKNOWLEDGES, UNDERSTANDS AND AGREES THAT: 1. 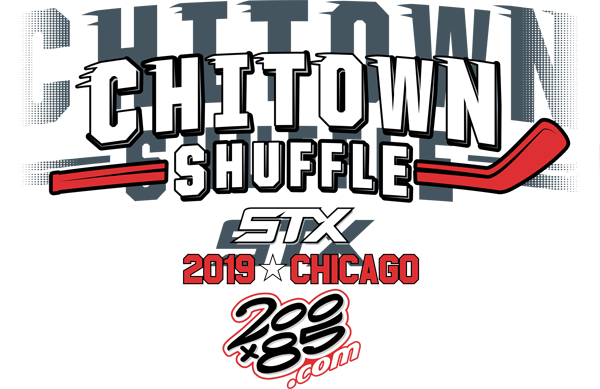 The risk of injury from participating in the activities involved in this Event is significant, including the potential for permanent paralysis and death, and while particular rules, equipment, and personal discipline may reduce this risk, the risk of serious injury does exist; and, 2. I KNOWINGLY AND FREELY ASSUME ALL SUCH RISKS, both known and unknown, of my participation in the Event, even if arising from the negligent act or omission of the RELEASEES or others, and assume full responsibility and liability for my participation in the Event and for any loss, damage or injury of any nature that I may sustain arising out of my participation; and, 3. I willingly agree to comply with the stated and customary terms and conditions for participation in the Event. If, however, I observe any unusual significant hazard during my presence or participation in the Event (or in the participation of the minor participant identified herein), I will remove myself (or minor participant) from participation, and shall bring such to the attention of the nearest official immediately; and, 4. I, for myself and on behalf of my heirs, assigns, personal representatives and next of kin, DO HEREBY RELEASE, INDEMNIFY, AND HOLD HARMLESS the 200 x 85 LLC and the owner of the premises used to conduct the Event, and their officers, officials, agents and/or employees, other participants, sponsoring agencies, sponsors and advertisers of the Event (“RELEASEES”), WITH RESPECT TO ANY AND ALL INJURY, DISABILITY, DEATH, OR LOSS OR DAMAGE TO PERSON OR PROPERTY, WHETHER ARISING FROM THE NEGLIGENCE OF THE RELEASEES OR OTHERWISE, to the fullest extent permitted by law. I HAVE READ THIS PARTICIPANT WAIVER AND RELEASE OF LIABILITY, FULLY UNDERSTAND ITS TERMS, UNDERSTAND THAT I AM AGREEING TO GIVE UP AND SURRENDER SUBSTANTIAL RIGHTS, WITHOUT RESERVATION, FREELY, VOLUNTARILY AND WITHOUT ANY INDUCEMENT. I, do hereby certify that I am the parent/guardian with legal responsibility for this participant, and do hereby consent and agree, for myself and for my heirs, assigns, next of kin and Participant, to the complete and perpetual RELEASE and DISCHARGE as provided above of the REALEASEES, for any and all claims, actions or liabilities of any kind whatsoever for personal or bodily injuries, sickness, death or disability, known or unknown, that I or the Participant may have arising out of or in any way connected with the Event, do further forever release and agree to indemnify and hold harmless, to the fullest extent permitted by law, the RELEASEES from any and all liabilities incident to my minor child’s involvement or participation in the Event programs as provided above, EVEN IF ARISING FROM THE NEGLIGENCE OF THE RELEASEES.